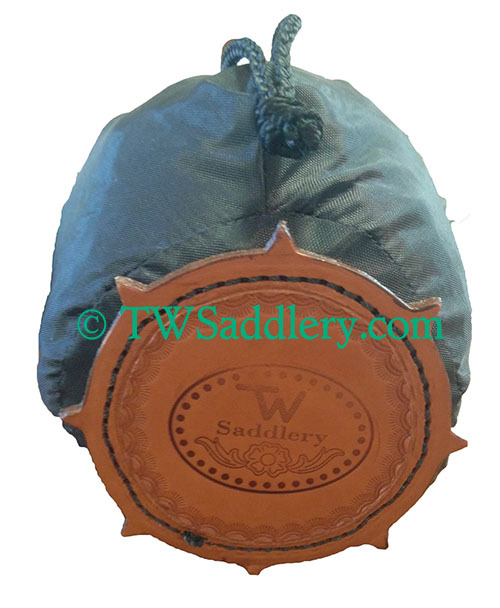 The TW Saddlery Saddle & Fenders Cover + Tote Bag helps your protect your investment & keeps the dust and dirt off of your TW Saddlery saddle. 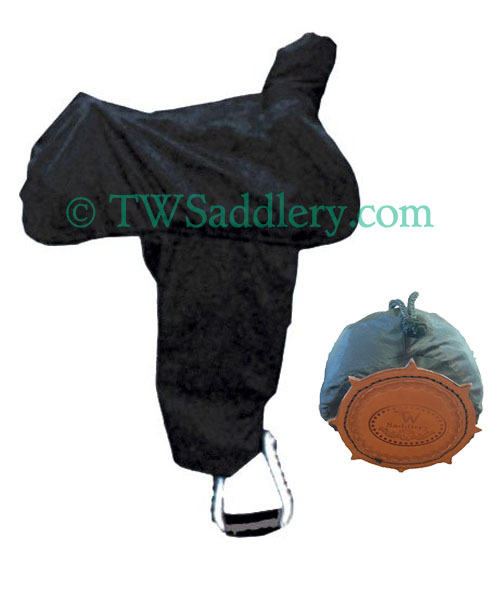 The TW Saddlery Saddle & Fenders Cover + Tote Bag helps you protect your investment & keep the dust and dirt off of your TW Saddlery saddle. Elastic edges keep the cover tucked around your saddle and fenders. 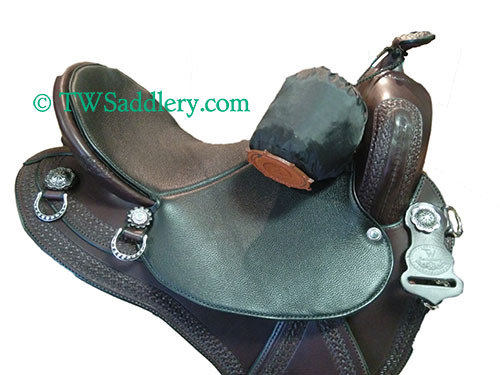 The Saddle & fender cover fits not only our TW Saddlery saddles, but any western saddle! 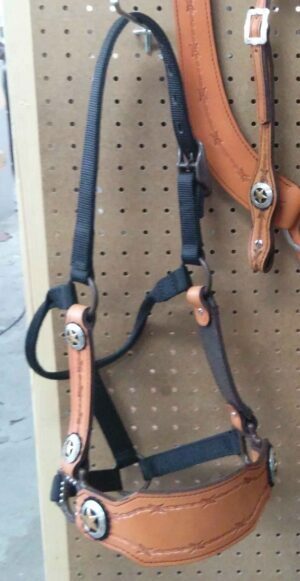 The saddle cover wraps back up within itself for a handy compact tote.